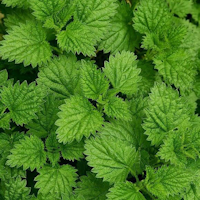 Menthol is a world famous compound that is found in a plant generally classified or known as the peppermint or mint plant, and is present all over the world. When we talk specifically about menthol, it is extracted in the crystallized form. These are extracted from the corn mint or wild mint that is found in India, Central and Western Asia, Siberia, the Himalayas and North America. Menthol has a variety of uses in which the biggest is that it is consumed for pain relief. It is used in medicines to relieve and soothe muscle aches. When you have inflammation, pain, or a burning sense on or around an area, the use of menthol may provide you with topical relief. It usually will numb your skin with a cooling sensation. The majority of the instant pain reliever balms have a good supply of menthol present in them. When a balm, cream or lotion with menthol is applied to the affected area, there are molecules named as ligands that become attached to those cells that are triggering the pain, helping them quickly relax. For joint pain relief, there are many over the counter products that are easily available on the market. The product has a good quantity of menthol and is easy to use. You can try menthol to comfort your bruises, strains or burns too with the amazing uses of menthol. Menthol is a different and refreshing way to get rid of that uneasy feeling after you get injured or chronic pain. People all over the world use menthol for its efficiency in relieving pain fast.